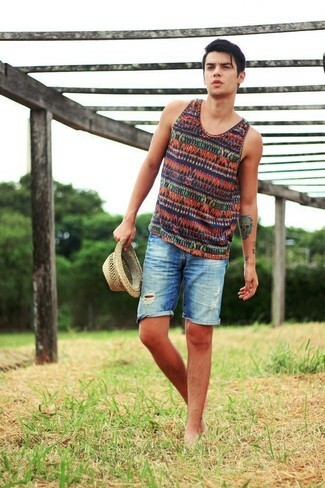 If you're all about functionality dressing when it comes to your personal style, you'll love this easy combo of a multi colored horizontal striped tank and an Asos distressed straw fedora hat. 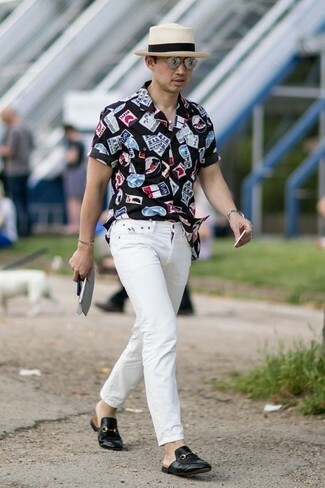 Try pairing a black print short sleeve shirt with an Asos Distressed Straw Fedora Hat from Asos to be both knockout and relaxed. Bring instant interest and excitement to your look with black leather loafers. 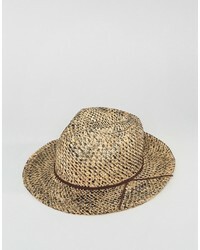 If you're on a mission for a casual yet stylish getup, pair a grey suit with an Asos distressed straw fedora hat from Asos. 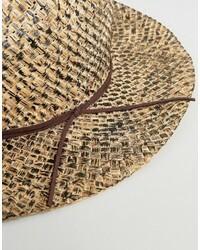 Both items are totally comfortable and will look great together. Got bored with this look? Enter brown suede derby shoes to change things up a bit. 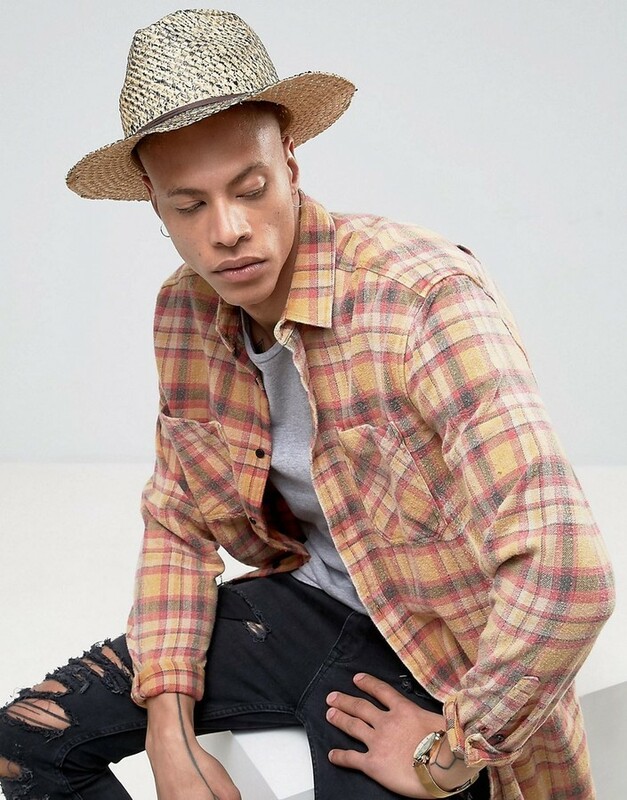 We're all getuping for comfort when it comes to dressing up, and this combination of a blue long sleeve shirt and an Asos distressed straw fedora hat is a good illustration of that. Sporting a pair of dark brown leather loafers is a simple way to add extra flair to your ensemble. 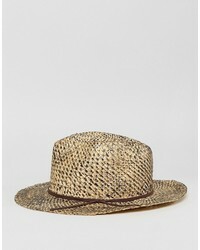 Marry a white linen long sleeve shirt with an Asos distressed straw fedora hat from Asos to be both casual and killer. Bring instant interest and excitement to your getup with white leather high top sneakers. 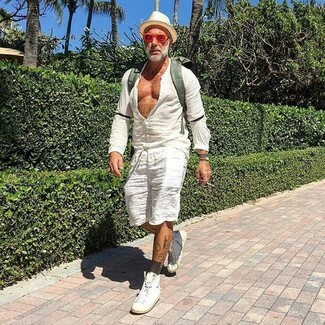 If you're a fan of relaxed dressing when it comes to your personal style, you'll love this easy pairing of a black v-neck t-shirt and an Asos distressed straw fedora hat. If you prefer practicality dressing when it comes to your personal style, you'll love this on-trend pairing of a red turtleneck and an Asos distressed straw fedora hat. 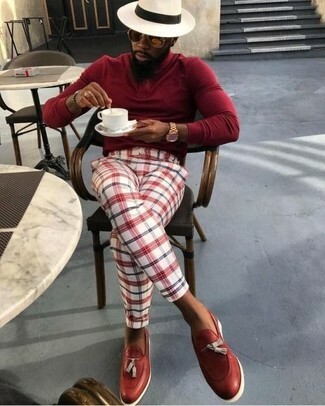 Sporting a pair of red leather tassel loafers is an easy way to add extra flair to your ensemble. 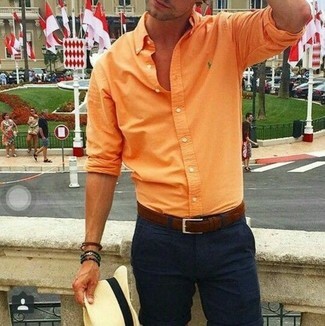 If you're a fan of comfort dressing when it comes to your personal style, you'll love this on-trend pairing of an orange long sleeve shirt and an Asos beige straw hat. 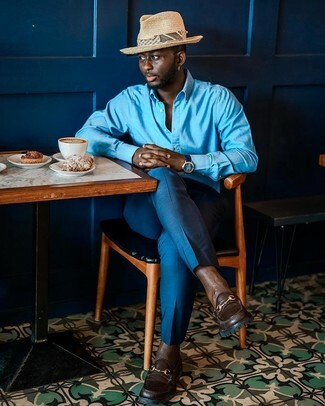 We're all seeking comfort when it comes to dressing up, and this combination of a navy polo and an Asos distressed straw fedora hat is a vivid example of that. And if you want to instantly bump up the style of your look with one piece, add white plimsolls to the equation.